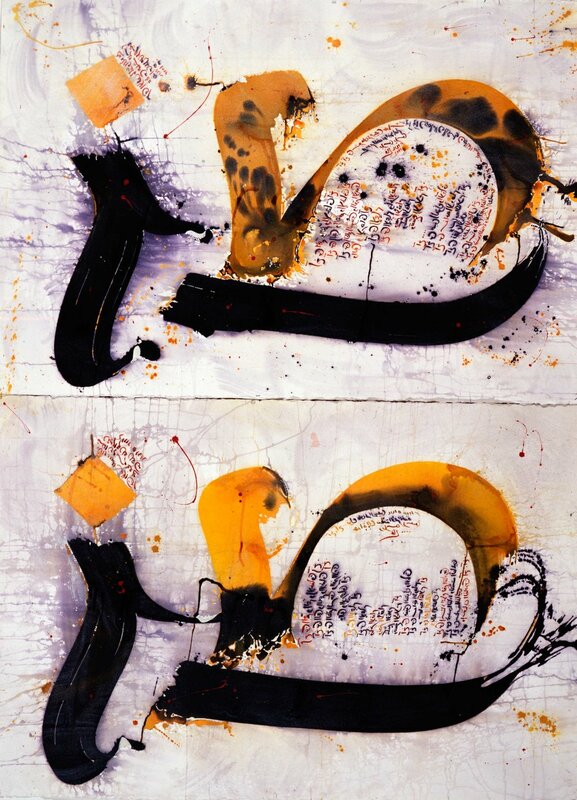 Ali Omar Ermes is an international artist whose artwork is principally based on the Arabic letter form. He paints on various sizes and some very large canvases (up to 5 metres long), in single or multiple colours applied with large brushes mainly on specially hand-made paper. His style is unique. 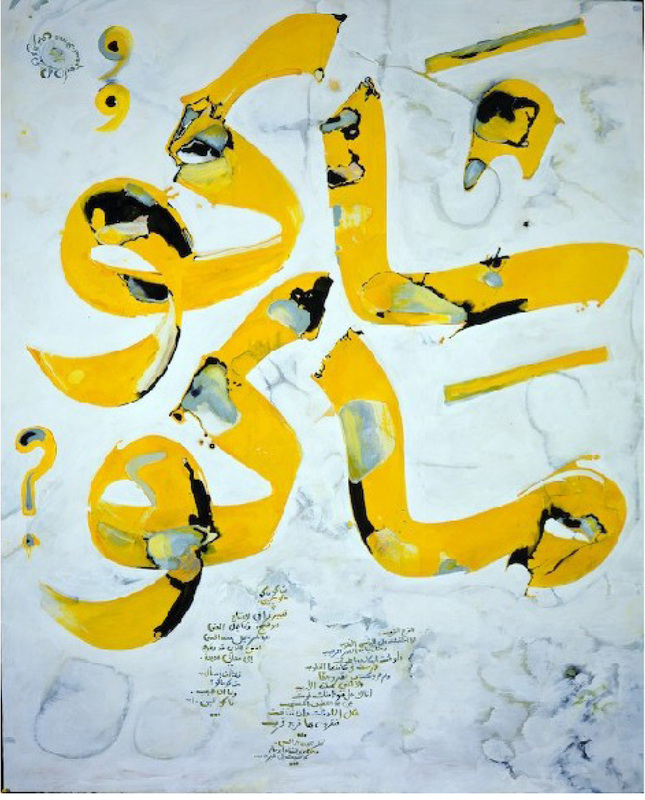 He combines in his paintings excerpts from world literature, mainly Arabic/Islamic poetry and prose and uses them as comments on human values such as justice, peace, human rights, protection of the environment and moral and social responsibilities. The combination of the text, the colours, the forms, the sense of space and rhythm create powerful visual and musical compositions.